So needless to say, the first trailer for the first film of a two-part series, entitled “The Hobbit: An Unexpected Journey,” looks and feels incredibly familiar. Despite a whole new cast of characters (though there are a few mainstays such as Ian McKellen as Gandalf and Andy Serkis as Gollum), it feels as if this series never left us nine years ago. The trailer sticks to setting up the story and putting it in the context of “The Lord of the Rings.” We get glimpses of all the major characters and some familiar faces, settings and props, but very little action. I wouldn’t be too concerned, though anyone familiar with the story knows most of the action comes at the end (shocker). 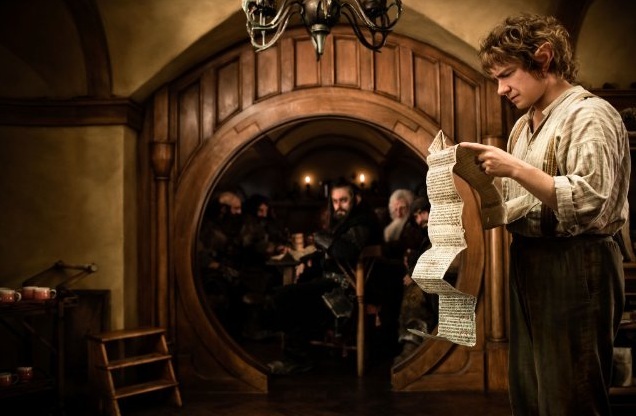 The film stars Martin Freeman as Bilbo Baggins and Richard Armitage as Thorin Oakenshield, leader of the party of dwarves that accompany our hero on a quest to retrieve a treasure from a dangerous dragon. Don’t get too excited, however, as you won’t get to embark on “The Hobbit: An Unexpected Journey” for another 360 days. The film arrives on December 14, 2012.